The first multi-disciplinary research of its kind has shown that night-time pedestrians feel safer in streets illuminated with white light than they do when lit by the more common sodium-yellow light. The results present town planners with a tough choice between perceived safety and light pollution. 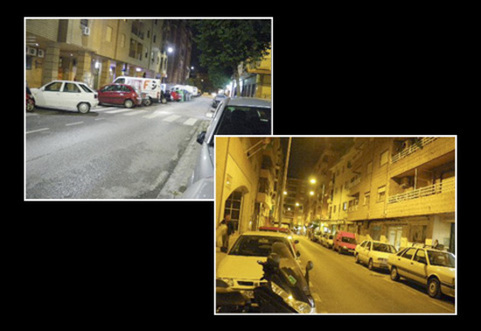 The research, carried out by the University of Granada, analysed the perceived safety and well-being of 275 pedestrians when walking on streets with particular illuminance types and levels. They were questioned immediately after taking a walk, and the results showed overwhelmingly that white light created more of a sense of safety than other dimmer options. One of the possible reasons is that white light allows for better identification of people’s faces, thereby reducing the potential for (and therefore fear of) crime. Research shows that pedestrians feel safer in streets illuminated with white light. Impact of public lighting on pedestrians’ perception of safety and well-being.